1. God’s Heart on the Sleeve – This is the big one for me. The prophets don’t keep you waiting to let you know what is on God’s heart. They were wonderful communicators of God’s passion, concern, anger, love, etc. In a church deeply stained by centuries of stoic thinking, it is a delight to offer the fullness of God’s affections, passions, compassion, emotion. 2. Punchy Relevance in Abundance – The prophets weren’t under the impression that their job was to fill a sermon slot with an informative soliloquy. They cried out to God’s people in specific application to their pain, their misery, their complacency, their present reality. Preaching on overtly applied texts tends to stir greater levels of contemporary relevance today too. 3. 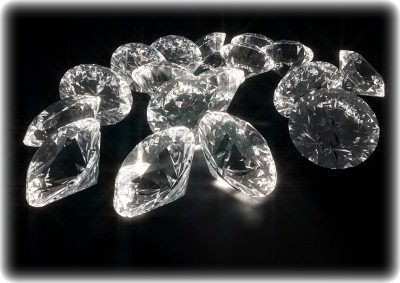 Messianic Goldmine in Places – This is what they’re famous for, of course. It’s a delight to preach of the Servant of the Lord, or of Immanuel, or of Zerubbabel’s signet ring, or of the New Covenant blessings. I’d be careful not to cherry pick the messianic predictions, but to preach them in their full context for full effect. We have a wonderful Christ, so preach the prophets! 4. Thematic Contrasts and Crescendos Galore – Like a stunning diamond on black velvet, so read the prophets. Impending judgment flowing into kingdom hope. Human sin overwhelming, then God’s grace superabundant. Faithless people, faithful God. Doom! Salvation! Darkness! Glory! The bulging muscular arm and clenched fist of the Lord! The tender shepherd holding the little ones close to His beating heart! 5. Novelty Value for Jaded Listeners – Perhaps they’ve heard stories from the gospels for months on end. Maybe they are saturated in epistolary logic. Perchance they have experienced the odd dip into Isaiah 6, 40, and 53. But what about Ezekiel 16, or Jeremiah 20, or Hosea, or Zephaniah? Typically the prophets, presuming they are well preached, will get a good hearing because listeners aren’t used to hearing them. There you go, five reasons why I like to pick a prophet or two. Loved this post, and very timely. Planning on doing a series on Jonah when I am finished with Matthew. Any thoughts?